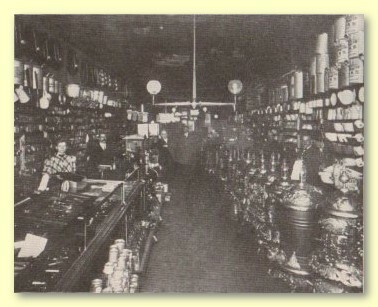 The Central Hardware and Furniture stores on Main street may justly be regarded as one of the largest mercantile establishments in Madison county. The proprietors are C. B. Anderson and J. W. Hume, this firm having been organized about one year ago by the retirement of Mr. Ganschow, and Mr. Hume succeeding to his interests. Mr. Anderson has been with the firm since 1901. Both gentlemen have had a wide experience in mercantile life, which, with their ability as salesmen, and their liberal policy, have made them the masters of a large and growing trade. Including ware rooms and salesrooms, they occupy over twenty thousand square feet of space, and every inch is stocked full. 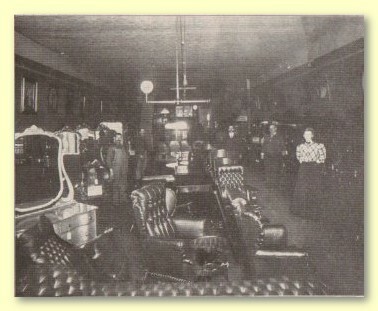 No store in this section can show such a large variety of artisitc furniture; this department is under the management of M. W. Dungan, who has had a wide experience in this line of goods. They carry a full ine of hardware, paints, oils, glass, farm implements, buggies, harness, and all kinds of horse furnishings. Everything handled by Anderson & Hume, bears the stamp of quality, and prices considered, there is no better place to trade. Both gentlemen are popular with all who know them, progressive, and keen to advance or exploit Madison county.